HealthSteps is about more than keeping already health people, healthy! It’s also about helping those with health challenges take charge of their own health through understanding their capabilities as well as their limitations. HealthSteps by Critique brings the gift of health to corporations across the U.S. Wellness Counseling is a proactive approach to minimizing claim cost and encouraging a healthier workplace. The dollars invested in educating and challenging your company’s individuals to improve their health is minuscule in comparison to the cost of illness and accident claims. Improve the lives of your work associates. Experience cost savings with your health care premiums and expenses. 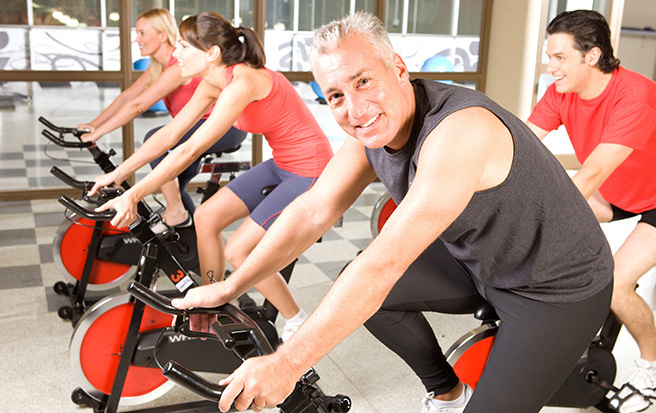 Healthy lifestyle programs are designed specifically to you and your employees. We help participants with accountability. Ongoing education with on-site seminars and services improves results. Assist those who are health challenged to participate in health activities suited to them. Through education, motivation, and support, Wellness Counselors will guide individual participants to their personal goals of achieving optimal health. Fitness and nutrition plans are designed and delivered through regular contact with Certified Wellness Counselors. Tasks are to be completed by each plan participation within a given time requirement to maintain compliance and eligibility for incentives. This is done to create accountability among participants and success for those committed to bettering themselves. Efforts are recorded in the Wellness Portal, an online program designed to track the progress of Wellness Counseling participants. Success breeds success, and our Wellness Portal allows users to witness the changes they are making, further encouraging them to keep going! The on-line Wellness Portal is an invaluable tool. HealthSteps makes accurate data collection a priority. This serves to best determine the success of your program. Statistical and financial outcomes are reported on a quarterly basis to act as your guide to fine tune your company’s plan. The feedback from such reports allows for you to fully unlock the power of Wellness Counseling.